Madrid hosts a unique exhibition for technology lovers. Artificial Intelligence (AI) is once again the star with the film 2001: A Space Odyssey by the famous director Stanley Kubrick. Theorist and researcher Claudia Giannetti shows the evolution of human and artificial intelligence through ten key questions about the potentials of AI technologies. 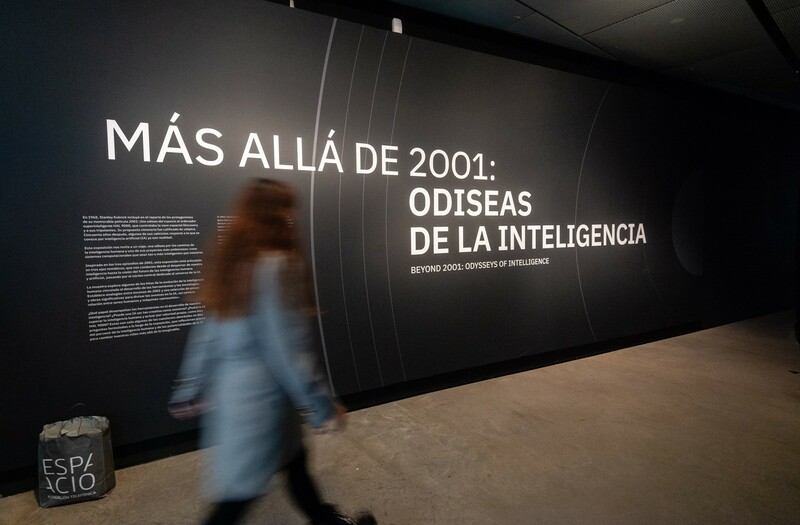 The exhibition is based on the three main themes of the film: The Awakening of Intelligence, The Universe of AI and The Future of Intelligences. The exhibition promises to show analogies between scenes and original manuscripts of the famous film as well as works by other artists that uncover the relationship between humans and machines. The first axis refers to the human brain and its neural networks, symbols of intelligence, contrasting with works by Ramón Llull and Mat Collishaw, among others. The second axis introduces human-machine interaction, focusing on problem solving, language, vision and autonomous actions. In this section, pieces such as El Ajedrecista (1912) and The Next Rembrandt (2015), the first painting created by IA, stand out. The last axis deals with the future of human intelligence and its relationship with AI. The most noteworthy of these pieces is that by S. Dikker and M. Oostrik, which uses neuro-scientific algorithms to explore the interconnections of the brain activity of two people in the audience. This exhibition makes a historical journey through technology and offers us the possibility of analyzing current hypotheses on the future of human beings and machines. “Beyond 2001” is located in Espacio de la Fundación Telefónica, near Gran Vía, just a 5-minute walk from the Hotel Europa. It is available until February 19 and admission is free.